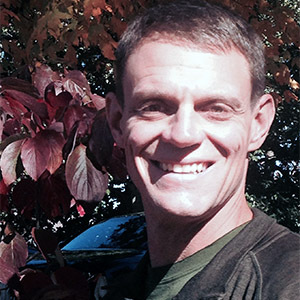 Scott is an ordained pastor with the Christian Church (Disciples of Christ) and has served as a pastor in the foothills of the Rocky Mountains in Fort Collins, Colo., as well as in Spring and Houston, Texas. Scott has a degree in Business Management from Texas A&M University and holds a Master of Divinity and a Diploma in the Art of Spiritual Direction from San Francisco Theological Seminary. Scott enjoys accompanying people during transformative experiences, whether during hikes, spiritual direction, wilderness quests, stories shared, service learning trips, live music concerts, camps or retreats. Prior to living in Asheville, Scott and his family served in the vulnerable cloud forest of Monteverde, Costa Rica. There he learned to how to climb Fig Strangler trees, spot Two-toed Sloths, distinguish the call of a Three-wattle Bell Bird from a Black Faced Solitaire and listen to people and nature in a new way. Scott continues to be reminded of his true self most clearly in the forests, oceans and deserts and seeks to invite others, particularly faith communities, into conversations regarding creation. With his partner, Rebecca, Scott has created Fireside Asheville, a community-building event based on personal story-telling, reflective listening and service. He is most alive when playing outside with Rebecca and their two children.